The world of beauty can be bamboozling at the best of times. There is always some new superfood or fresh serum that brings with it the promise of eternal radiance. One minute it’s all about carrot-based face masks, and the next the cult has moved on to vampire facials… Really. So, in the midst of all the buzzwords, marketing noise and product launches, how do you ensure you are giving your complexion what it really needs? How do you pick a product that will effectively tackle your skin’s issues? One of the easiest ways of doing this is addressing the age of your skin. As you get older, your skin goes through different stages and has different requirements. You may not know if your complexion is oily or combination, dry or sensitive but if you pick a product based on your age, it will likely be a good match. The sooner you start a skincare routine, the better. Teenage skin tends to produce more sebum (or skin oil) which can lead to clogged pores, pimples and acne. Keeping the complexion balanced by using a moisturiser like Ac-Norm Aquatic Cream will help that wondrous youthful glow shine through. For a lot of people, their twenties and thirties are their most hedonistic periods in life. Parties at Uni. Late night/early morning routines in the City. And generally living to excess. Most ‘adults’ struggle to remove their eye-makeup properly in the evening, let alone apply the optimum moisturiser. And yet, this is a pivotal time for your complexion. How you treat it now will be visible for years to come. So, with this in mind using our Moisturizing 24H Cream (for ages 20+) is a great way to protect your skin from premature ageing. As you enter your thirties your skin’s collagen production can start to slow. To minimise this, make sure our Moisturizing Plus Cream (specially targeted for ages 30+) is your first line defence on your beauty cabinet shelf as it helps increase production of collagen and elastin. Pop on a retinol-enriched Night Force A+ E Cream before you go to sleep. For daytime, it’s also important to wear something with SPF in and out Sun Screen Velvet Face 30 is the ideal cream for this. Both of these cream is designed to care for ages 20+ and 30+. Recently the industry has steered away from the terminology ‘anti-ageing’ – and with good reason. Ageing is not something we can prevent. We should not feel negative about the idea of getting older and adding a few more lines to the canvas here and there. What we should do is nurture and nourish our skin as it ages, so we can reveal our most beautiful self every day. 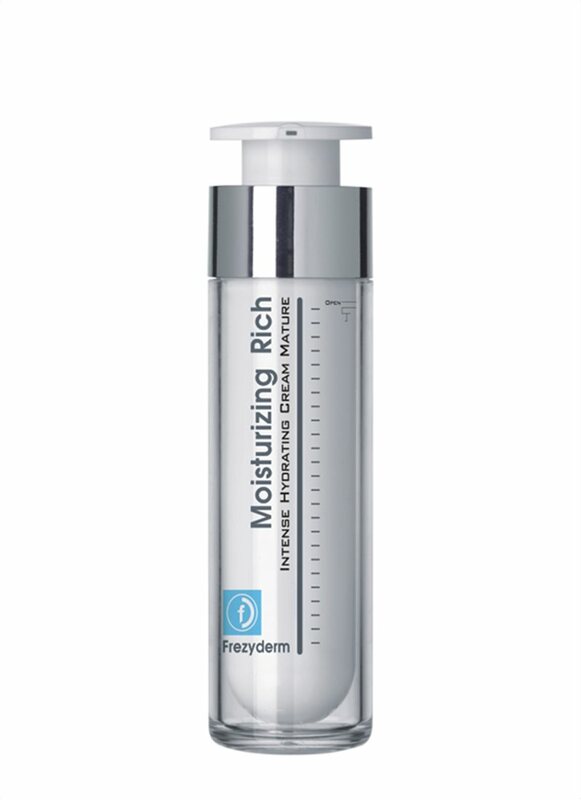 Try this Moisturizing Rich cream. And don’t forget to include some Neck Contour Cream into your nightly ritual.